Carolyn Martin talks art with Claire Kovacs, director of the Augustana Teaching Museum of Art. 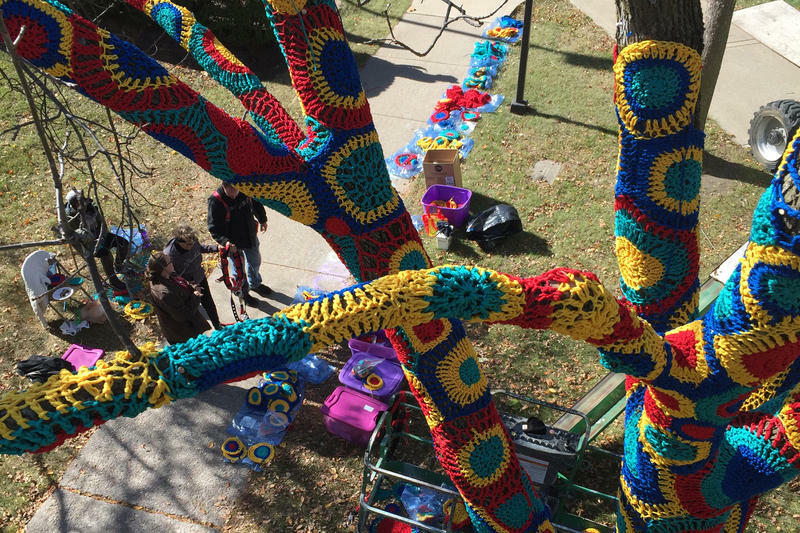 In this installment, Carolyn Martin talks with Dr. Claire Kovacs, Director of the Augustana Teaching Museum of Art, about the “yarn bombing” project unveiled to the public on October 29. 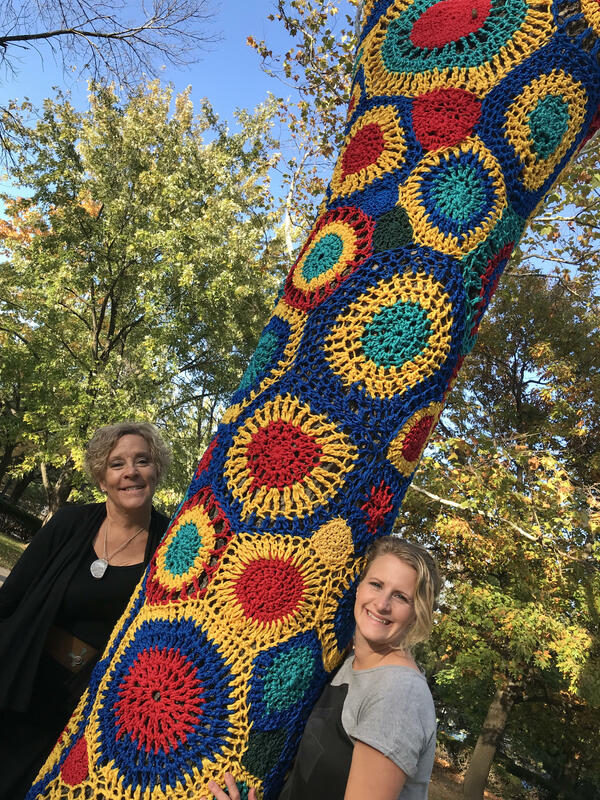 Ohio artist Carol Hummel recently completed the wrapping of multiple local trees in colorful crochet patterns across the Quad Cities. 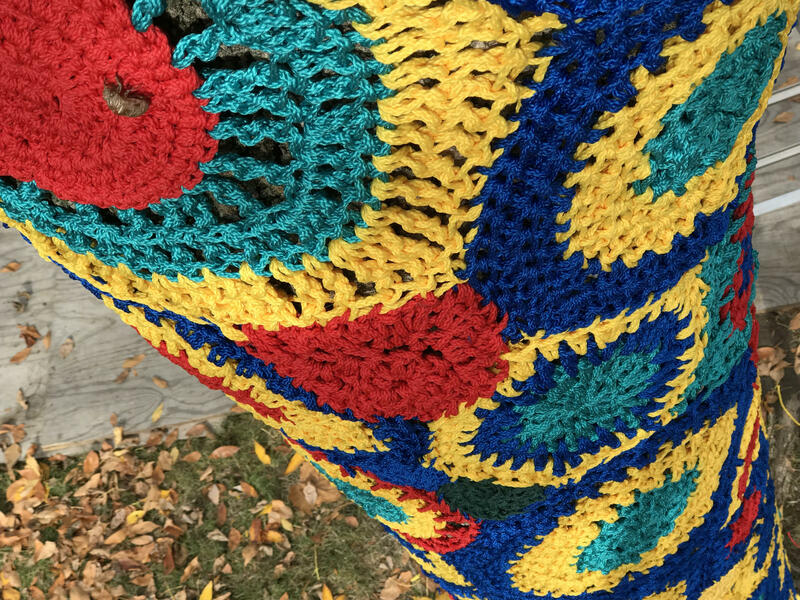 Learn more about this form of street art, how multiple members of our community participated in the crocheting effort, and how public art projects can lead to community building. You can view the three “yarn bombing” installations at Augustana College (corner of 7th Avenue and 35th Street in Rock Island), Longfellow Liberal Arts Elementary School (7th Avenue and 41st Street in Rock Island), or on the plaza of the Figge Art Museum in Davenport. You can view more of Carol Hummel's work on her website.